0-62mph takes just three seconds! The headline act at the McLaren stand this year is the 650S - both in hard top and convertible body styles - and in our opinion its one heck of a showstopper. We're pleased to announce the new 650S is to be manufactured here in the UK at McLaren’s Production centre in Woking. A brand synonymous for performance, it will come as no surprise that the new 650S has some impressive figures to its name. The 0-62mph sprint takes just three seconds and the car can hit 124mph in 8.4 seconds. That’s a full second quicker than the McLaren F1 road car and half a second quicker than the 12C which is still in production. As you'd expect from McLaren, there's a host of clever high-tech gadgets installed to aid both handling and performance. For example you get a system which applies torque when changing gears to compensate for the lull as engine speed drops, meaning the power just keeps on coming. Adaptive suspension also features to make the most of the car's lightweight chassis. What you may be surprised to learn is that the 650S is also one of the most efficient in its class, achieving 24.2 mpg on the combined cycle while emitting 275g/km of CO2. 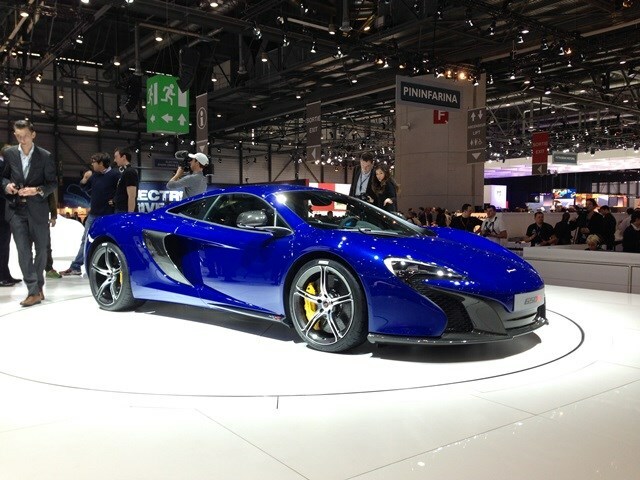 Pricing for the McLaren 650S Coupe starts at £195,250, with the 650S Spider starting at £215,250.